Around 1 month ago, Enzo Zidane finished his transfer from the Santiago Bernabeu over to Deportivo Alaves as the 22 year old youngster penned a 3 year long deal but Real Madrid does have the option to buy him back thanks to a clause which was written in the contract. Since the age of 9, Enzo Zidane has been performing in the youth academy of Real Madrid and after years of training along with impressive performances, he was able to get promoted to the first team where he was regularly given the chance to train with the seniors. On November of 2016, Enzo came off the bench to play with the main squad as he replaced Isco during a Copa del Rey encounter against Cultural Leonesa where the youngster managed to score a goal during his debut. With the likes of: Cristiano Ronaldo, Gareth Bale, Isco, Toni Kroos and so many other highly rated performers that are currently performing in Real Madrid, it´s very unlikely that Enzo Zidane will be making regular appearances in the first team and instead a transfer to Deportivo Alaves was something that the youngster needed in order to have a realistic chance of getting into the main squad. 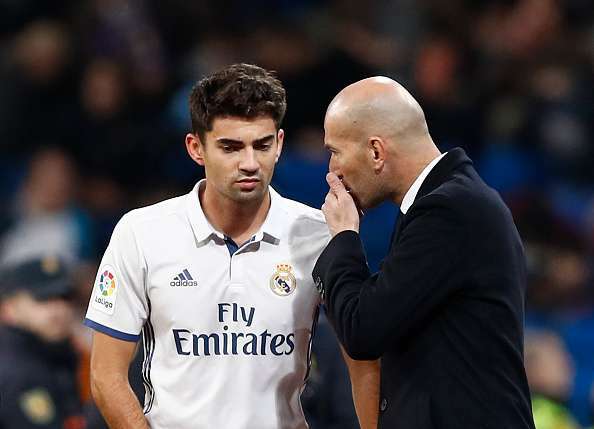 Enzo Zidane is 22 years old and youngsters such as him want to perform at a regular basis but that seems extremely unlikely to happen in Real Madrid and that’s one of the main reasons of why a transfer to another club had to be done. Even though Enzo is the son of the head coach Zinedine Zidane, he still has to work for a place in the starting XI just like every other player. In a recent interview with Enzo, he was asked about how his career and life are considering that the 22 year old player is the son of one of the greatest players in the history of the sport, Zinedine Zidane. Like stated previously, Real Madrid does have the option to bring Enzo Zidane back to the Santiago Bernabeu which is good news for the player himself as the youngster has the chance to gain experience by making regular performances in a different club and when the time comes to bring him back to Real Madrid along with his father, the Spanish club will be able to make it happen.